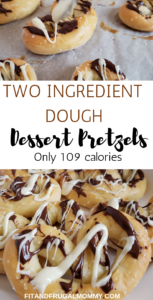 I’ve had my eye on two ingredient dough recipes for a while. I’ve seen them everywhere. I am all about recipes that are easy and low calorie. When I first heard of two ingredient dough I thought, yes, just yes. 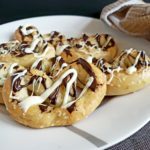 Combine this super simple two ingredient dough recipe with my love of chocolate and you get my two ingredient dough dessert pretzels. 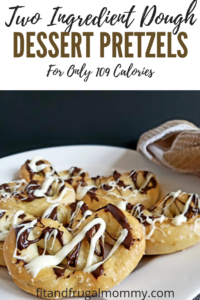 A sweet and salty treat for only 109 calories. Mix the self rising flour and plain greek yogurt in a bowl. Knead the dough with your hands. Flatten the dough on a surface sprinkled with flour. If the dough is very sticky, sprinkle with more flour until the dough is workable. Perfect! Now we have two ingredient dough. On to the pretzels. 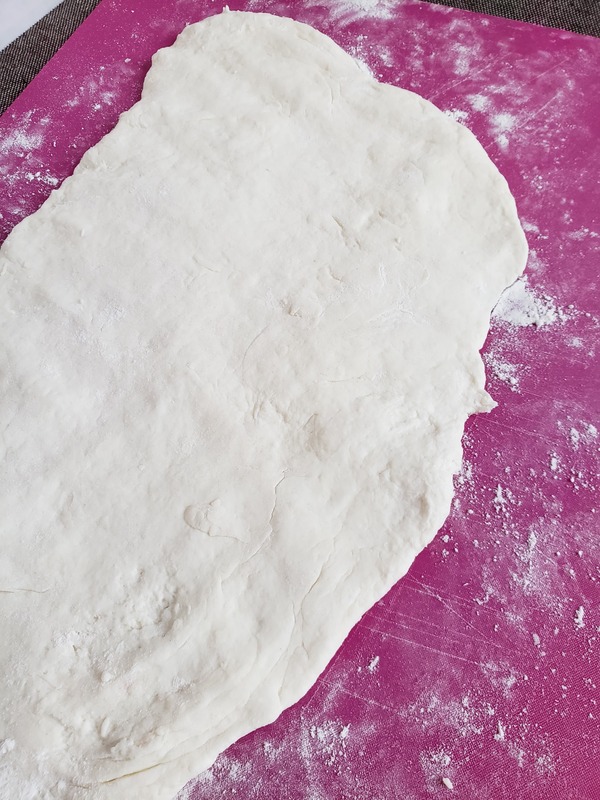 Once you’ve flattened the dough out as shown above, cut the dough into 8 equal sections. Roll the dough into rope and shape into a pretzel. If the dough is hard to roll, add a little more flour to your surface. 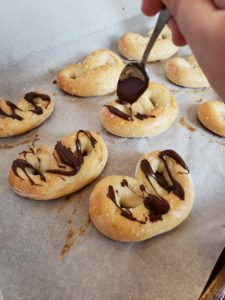 Place the pretzels ‘knot-down’. 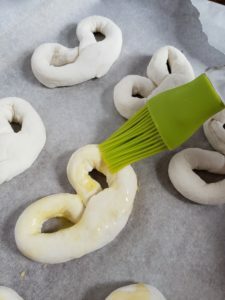 Whisk an egg in a bowl and brush the egg wash over the pretzels. Sprinkle with sea salt or Himalayan rock salt. Bake for 22 minutes at 350. 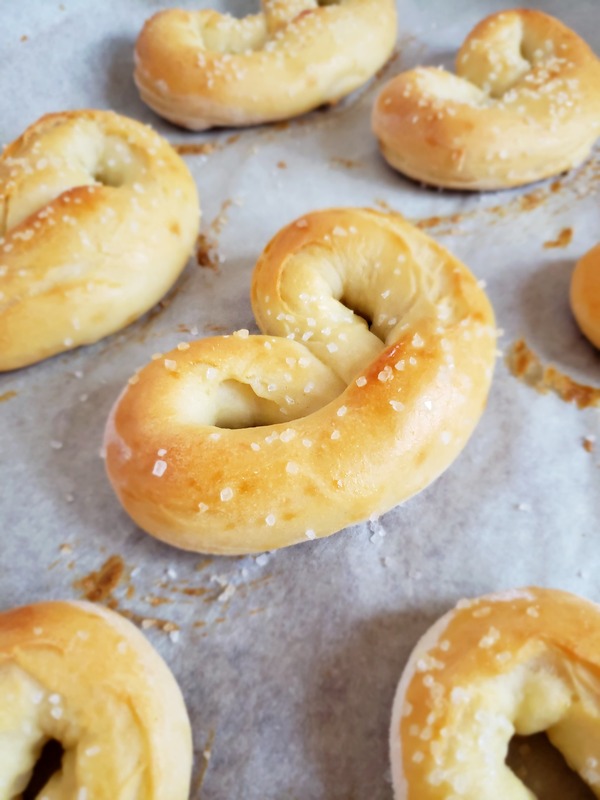 You can stop at this point and have a delicious two ingredient dough pretzel. 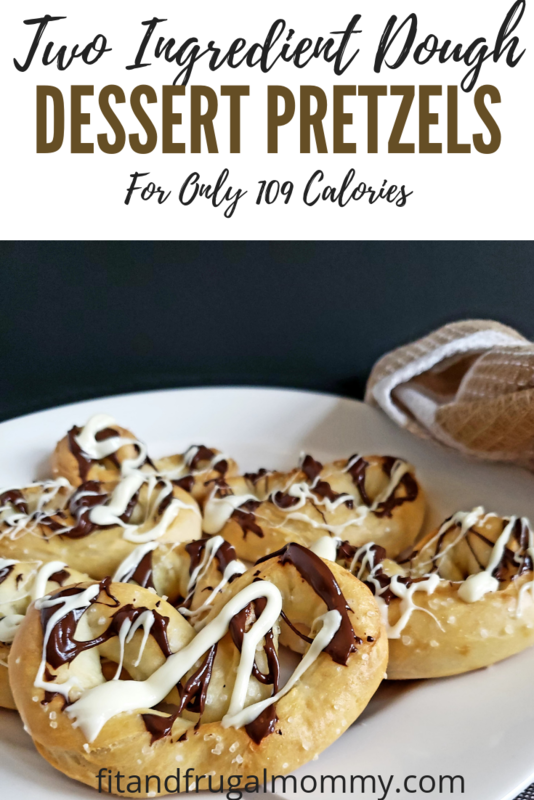 The recipe without the chocolate drizzle is 71 calories per pretzel, which is amazing. Melt chocolate by heating for 30 second intervals in the microwave and stirring. Once the chocolate has reached the desired consistency, drizzle over the pretzels. Amazing! If you’re like me and prefer the recipe in a nice condensed format, check it out below. A sweet and salty treat for only 109 calories. 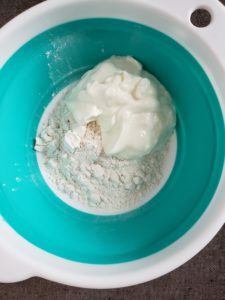 Mix the plain greek yogurt and self rising flour in a bowl. Knead the dough with your hands. Sprinkle flour as needed to reduce stickiness. Flatten the dough on a surface dusted with flour. Cut the flattened dough into 8 equal portions. Roll each portion into a rope. 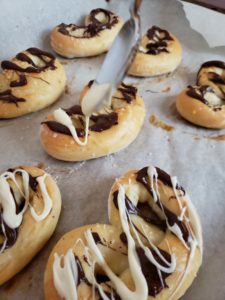 Form into a pretzel shape and place on a baking sheet lined with wax paper 'knot-down'. Whisk an egg in a bowl. Brush the egg wash over the pretzels. Sprinkle with sea salt or Himalayan rock salt. Bake for 22 minutes at 350. Let the pretzels cool, approximately 5 minutes. Melt each chocolate in a separate dish at 30 second intervals in the microwave, stirring in between until the chocolate reaches the desired consistency. 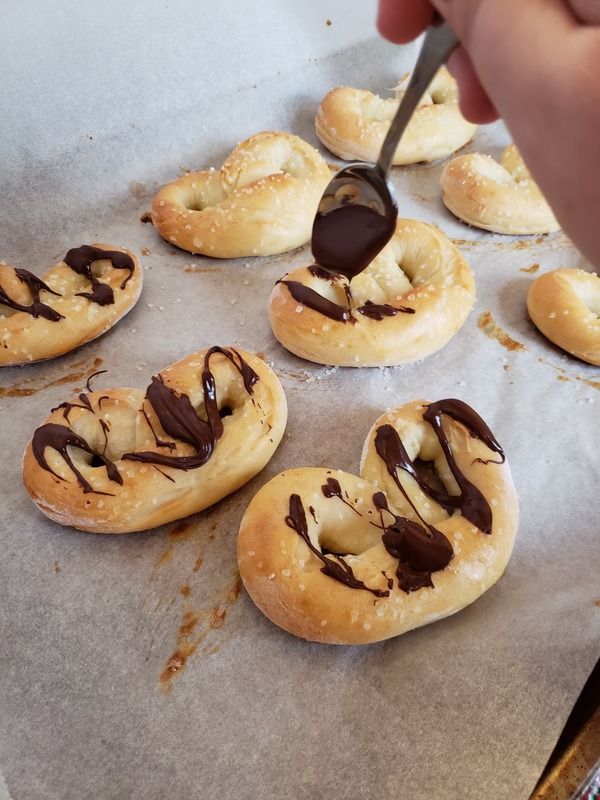 Drizzle the chocolate over the pretzels. Enjoy!